Are you wasting budget and resources contacting bad leads, unqualified consumers and uncontactable phone numbers? With deeper insight into your leads, your team can make better decisions on how to treat the person on the other end of the interaction. 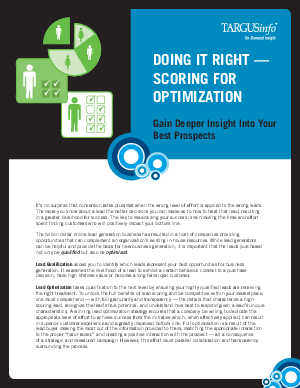 Learn more about types of lead scoring and how you can optimize these campaigns to supercharge your marketing initiatives.